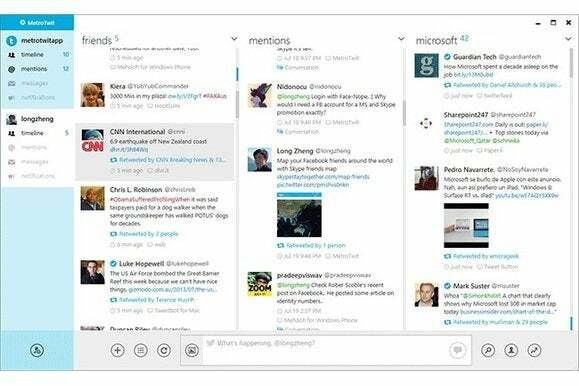 MetroTwit, a popular Twitter client for Windows, is going away, and the reason is not at all surprising. In a blog post, MetroTwit explained that it ran into Twitter's “ access token limit,” which is Twitter's way of making sure no third-party client becomes too popular. Essentially, more people wanted to use MetroTwit than Twitter would allow. As such, MetroTwit has taken down the installer for its Windows desktop app and removed the Windows Store listing for its modern-style app. Existing users can continue to access MetroTwit, but the apps will no longer receive updates or new features. “We’re extremely proud to have worked on MetroTwit and want to thank the over 400,000 Twitter users who used MetroTwit over the past 4 years and have helped shape and support it,” the team wrote in its blog post. MetroTwit is hardly the first victim of Twitter's API limits. Rowi, another Twitter client for Windows and Windows Phone, removed its listings from both stores last year. Carbon had to pull its app for Windows Phone last year, and then from Android earlier this year. Android clients Tweet Lanes and Falcon Pro have also hit Twitter's limits, though the latter still allows new users if they jump through some hoops. Still, the end of MetroTwit means there are no longer any good desktop Twitter clients aimed at power users, aside from Twitter's own TweetDeck app. Windows 8 users can still grab Tweetium for $2.99—though it's always in danger of being the next client to bite the dust.